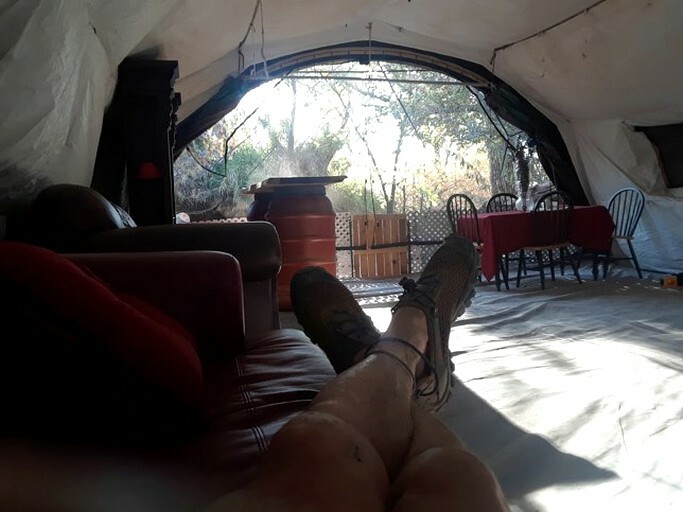 This spacious riverside US Mil-Spec hut rental is situated near Geyersville, California, and can accommodate six guests, though any more than two is an extra $25 fee per person. The hut features a fabulous king-size bed appointed with linens and pillows. The sitting area offers two plush sofas which can be used for extra sleeping space as well. 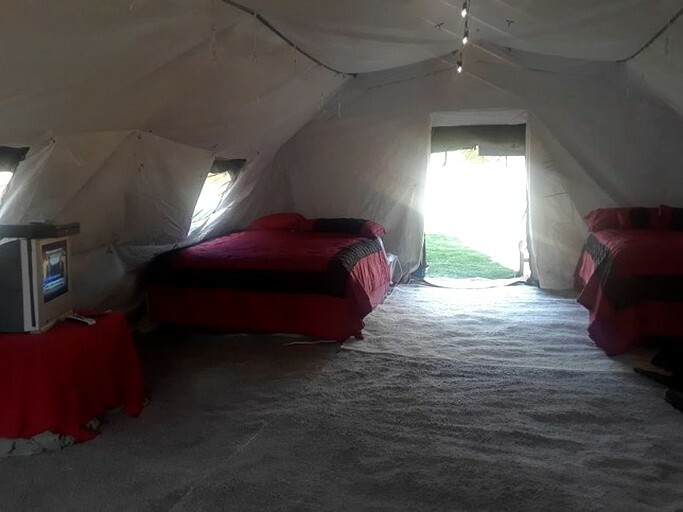 Glampers will have access to a separate bathroom with a toilet and a shower, which is solar powered. The interior of the hut also has a dining table with seating for four and a cable TV. Outside, glampers will find a large AstroTurf area with a badminton court and plentiful seating on lounge chairs. 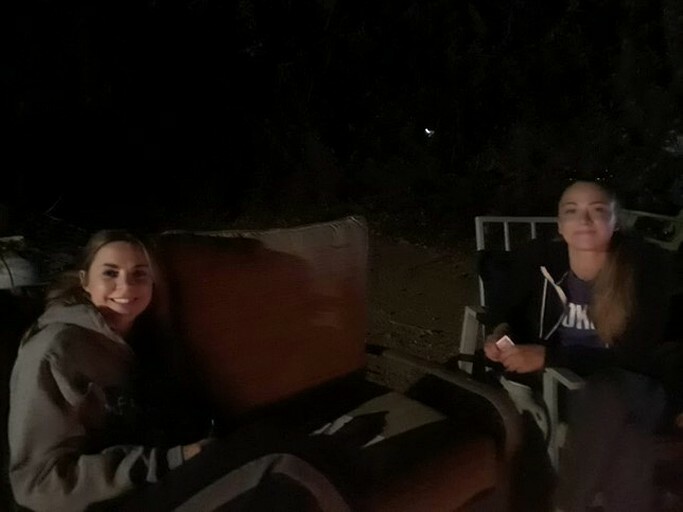 There is also a barbecue area for cookouts with a cozy campfire, a three-burner Coleman propane stove with propane provided, and an outdoor dining table. 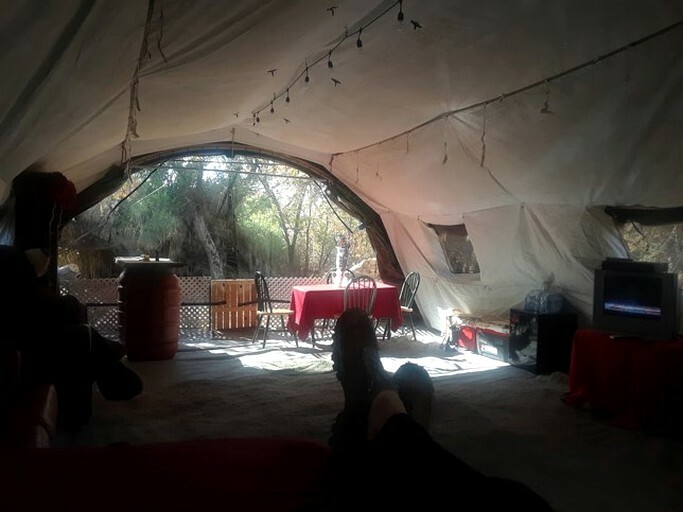 The tent is insulated with a dead air space lining, multiple screened windows ventilation, and heating ports. If temperatures drop, forced air heaters and a wood stove are also available. Other amenities include running water, privacy curtains, insect netting, a washer and dryer, and complimentary Wi-Fi. Glampers will be able to immerse themselves in nature while still enjoying access to an impressive range of amenities and conveniences. The property features a badminton court surrounded by lounge chairs where glampers can play or relax. 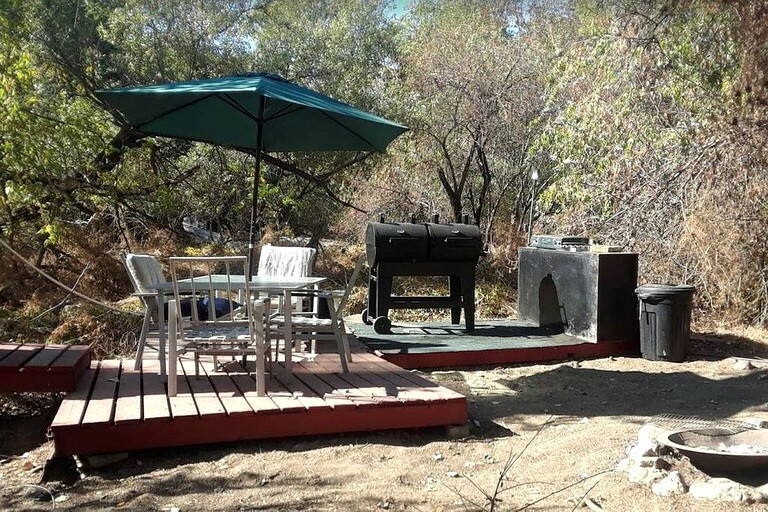 There is a spacious barbecue area for cookouts that offers a cozy campfire, a three-burner Coleman propane stove with propane provided, and an outdoor dining table. 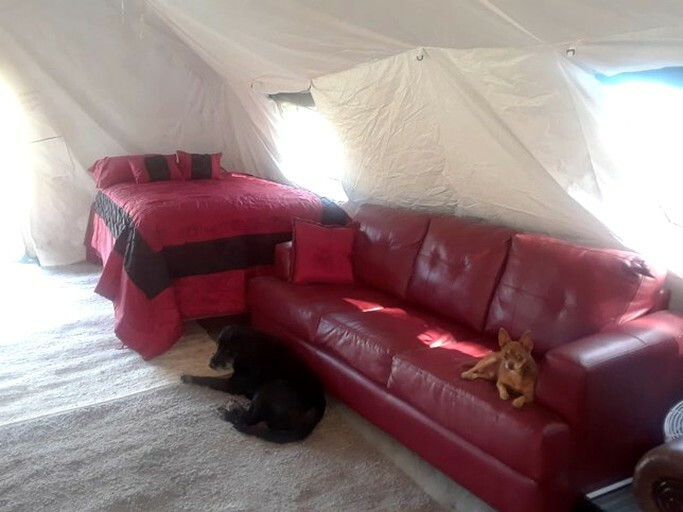 Inside the rental, glampers can watch their favorite shows and movies on the cable TV. 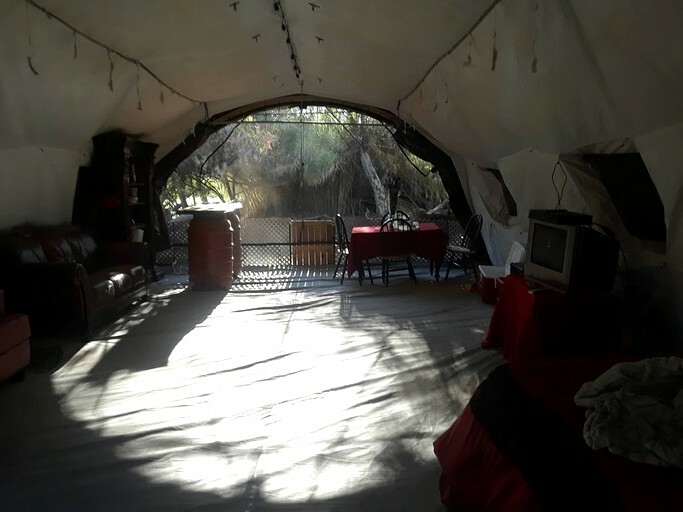 The tent is insulated with a dead air space lining, multiple screened windows ventilation, and heating ports. Other amenities include running water, privacy curtains, insect netting, a washer and dryer, and complimentary Wi-Fi. Kayaks and ATVs can be rented for an additional fee. 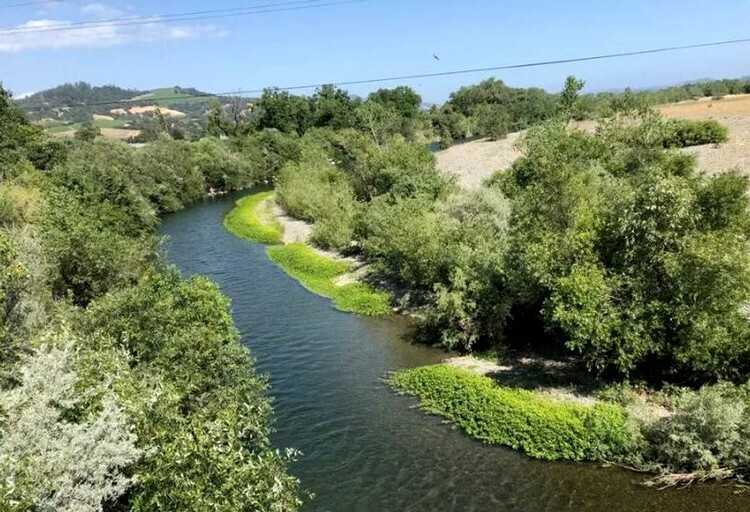 This peaceful property is adjacent to the sparkling waters of the majestic Russian River near Geyersville, California. 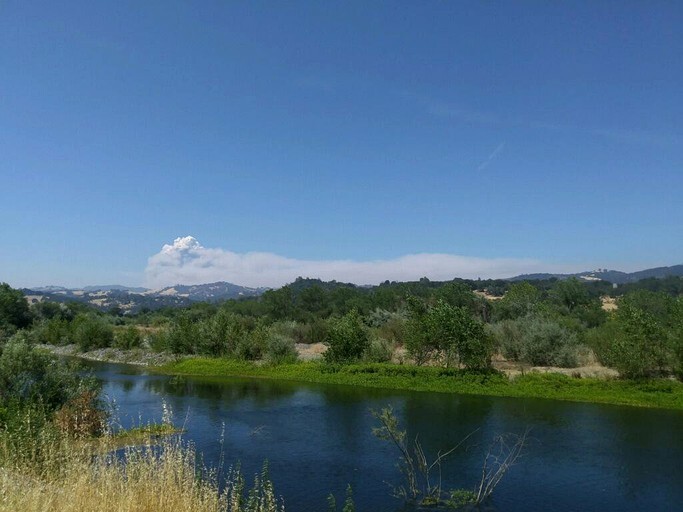 Glampers will have direct access to over 15 miles of untouched riparian woodlands to explore, from Healdsburg to Cloverdale. 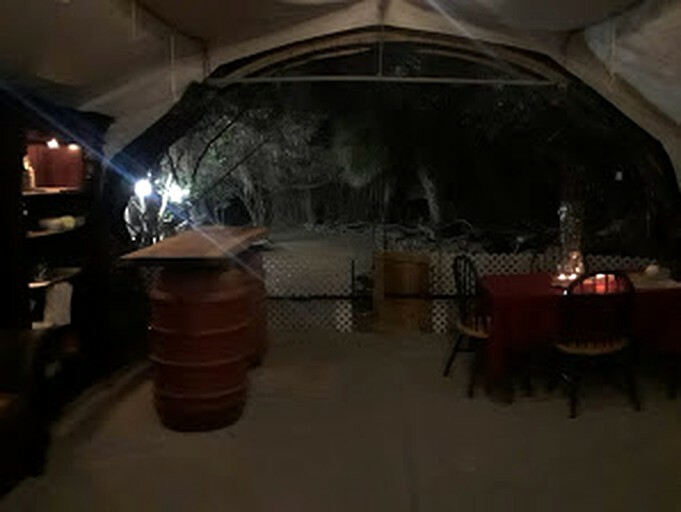 No permanent structures are allowed this close to the river, so guests will not find anything like this anywhere. A fantastic winery (Zialena) is located across from the entrance of the property. World famous Coppola Winery is in Geyserville and the site also features a charming organic farm and picturesque open fields. As winter approaches, the hosts have added forced air propane furnace and a wood stove as pictured in the gallery. 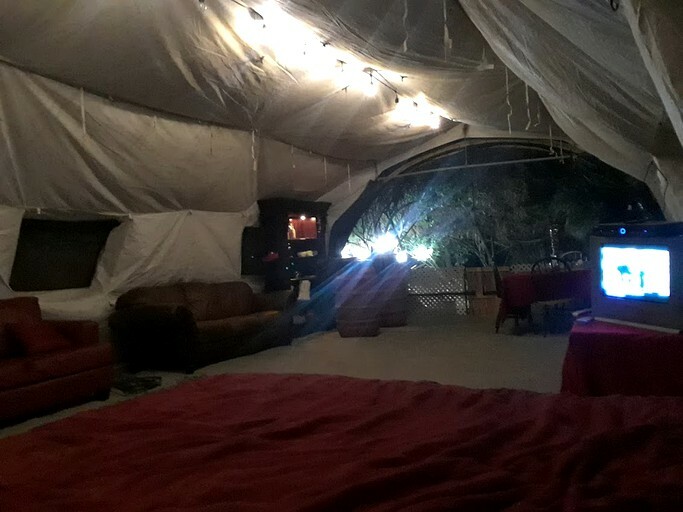 This is not just camping! 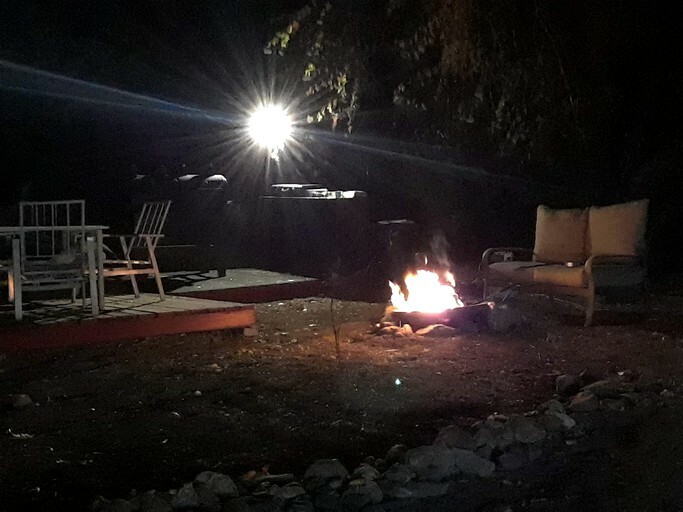 Guests can explore their wild side as the hosts have kayaks, ATVs, an eight-wheel amphibious vehicle to go river and winery touring, archery equipment, and the host will even teach guests to fly fish. 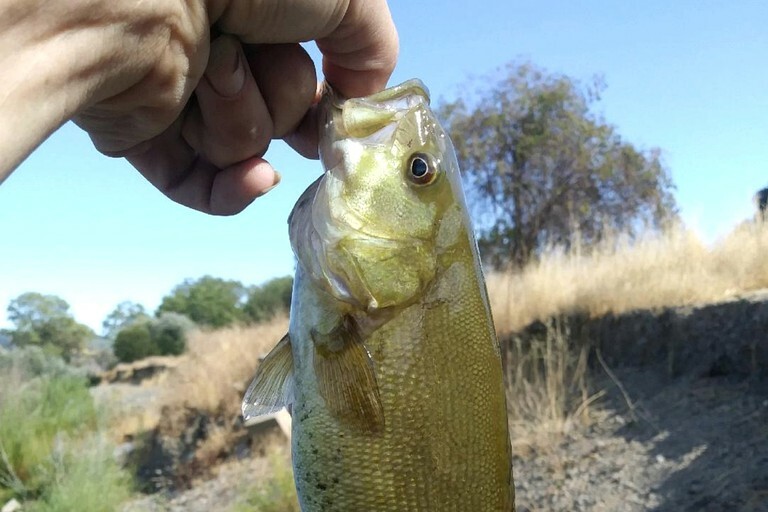 The host is a licensed and bonded fishing guide and will advise guests free of charge on where to fish, but a $100 fee is required (payable separately via cash, PayPal, or credit card) for guiding on the drift boat, amphibious watercraft, kayaks, or ATV’s. 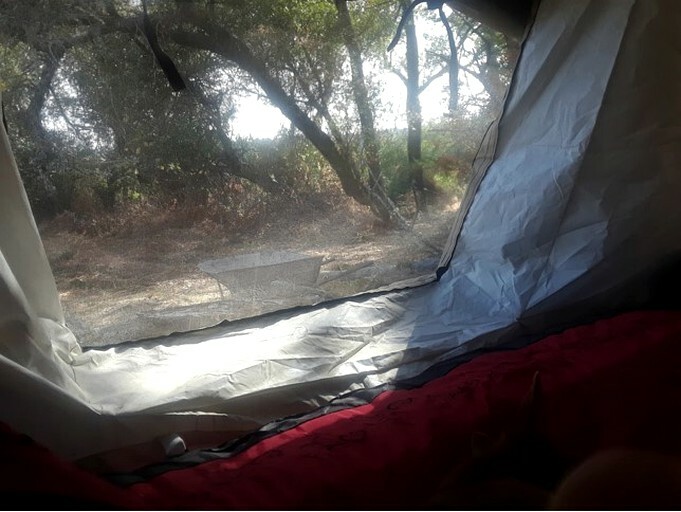 Surrounded by California's famously beautiful and diverse landscape, glampers will have a wealth of options for outdoor recreation at their fingertips. The magnificent Russian River is undoubtedly the main draw of this location, offering excellent conditions for water sports and activities such as canoeing, kayaking, and swimming. 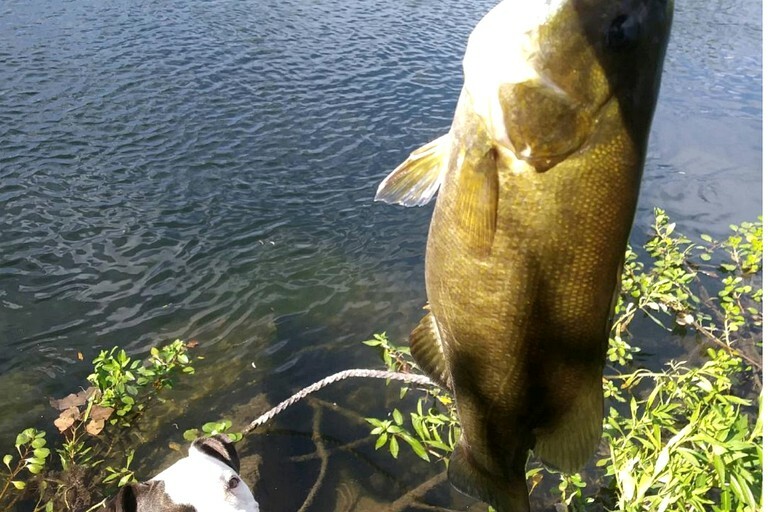 Fishing is good to excellent for smallmouth bass and steelhead trout. 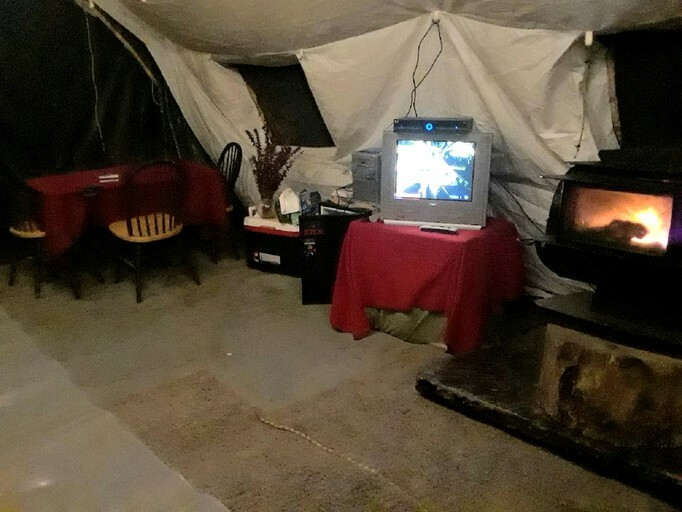 This is not just camping! 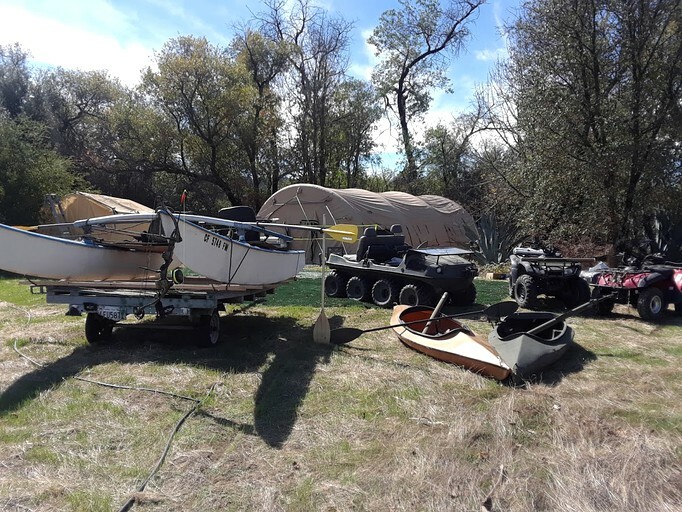 Guests can explore their wild side as the hosts have kayaks, ATVs, an eight-wheel amphibious vehicle to go river and winery touring, archery equipment, and the host will even teach guests to fly fish. 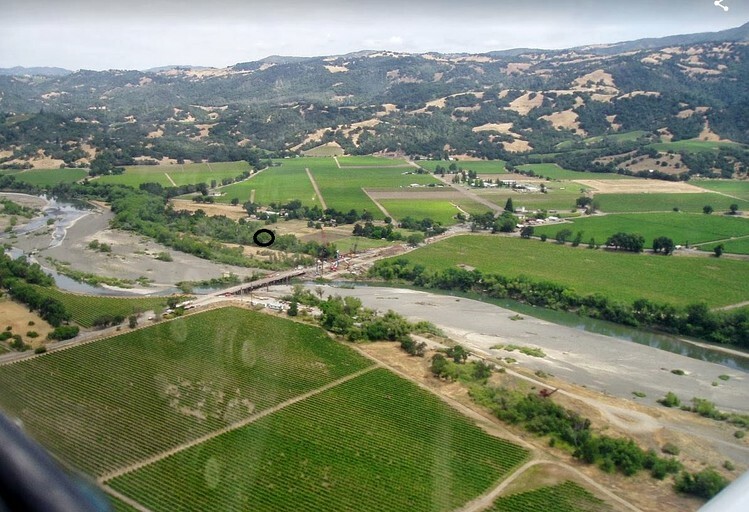 For a break from the great outdoors, glampers can visit the friendly neighboring town of Geyserville, California. There, glampers can browse for souvenirs in local shops, stock up on groceries and supplies at the market, or eat at one of four restaurants. 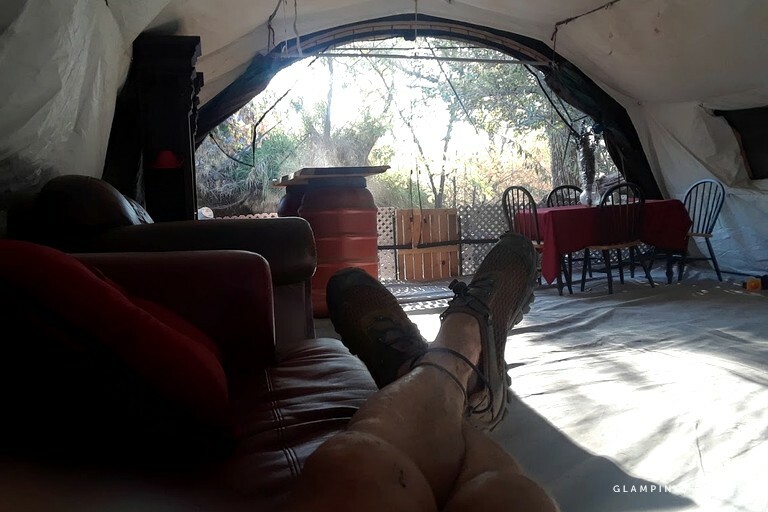 Glampers can also check out the impressive entertainment options at the River Rock Casino, which affords a spectacular view of Alexander Valley, a restaurant and buffets, and live shows. The rental can accommodate up to six guests with a fee of $25 for each after the first two. This property is pet-friendly and there is a small fence across the front of the rental to keep most pets inside when needed. Anyone with balance problems or medical conditions that have difficulties operating in uneven terrain should be cautious. Check-in is from 15:00 to 21:00. 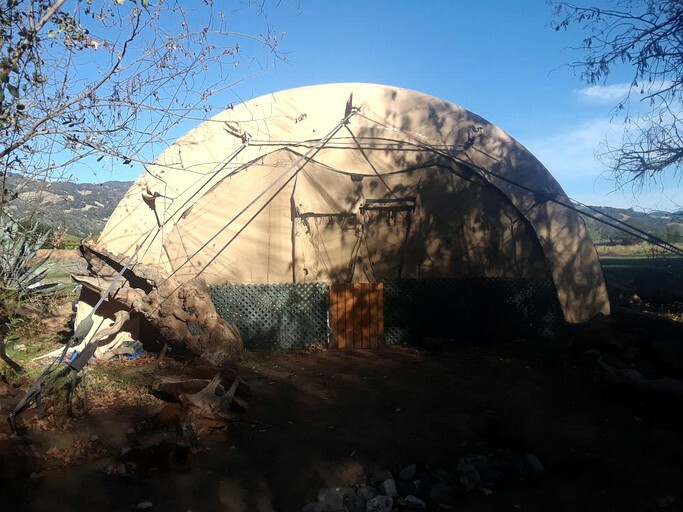 Guests should note this is a Quonset type hut, but it is, in essence, a large tent with a rounded shape. 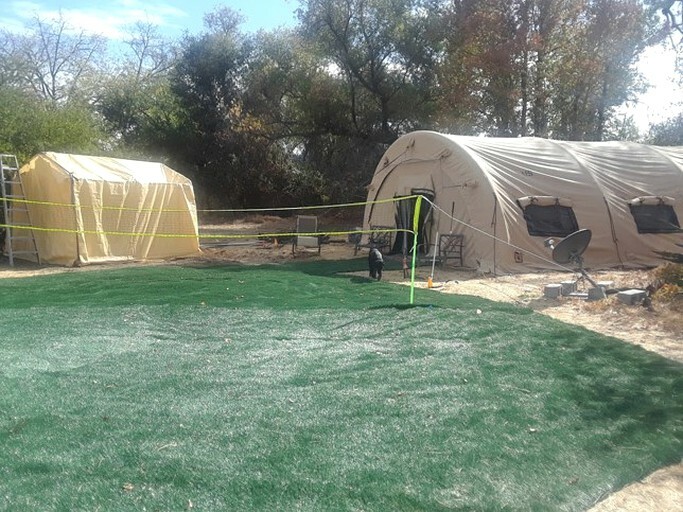 Like tents everywhere, the floor of it is thin rests on uneven dirt or earth and there can be small depressions and occasional rounded unlevel areas caused by roots or hardened dirt. Occasionally (two or three times a summer/fall) the vineyards use a pump located next to the site. 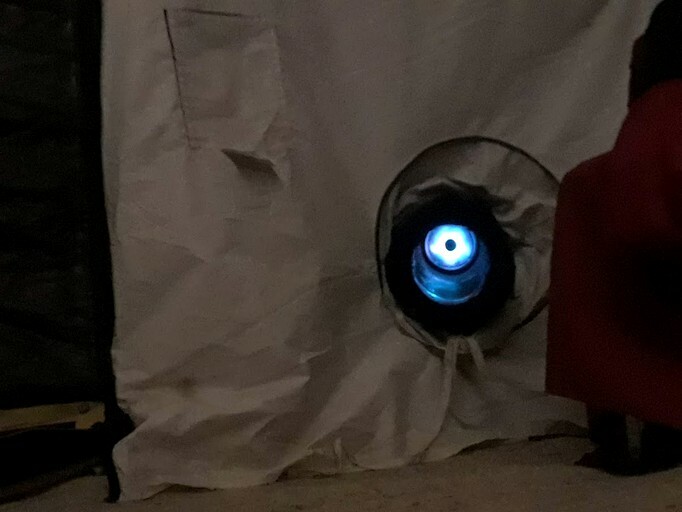 It is a little noisy. Guests will refund half of the money if guests decide to stay as this can be annoying. If guests decide to leave, the hosts will refund them one half of the time they are here (minimum one day), and a full refund for any time not spent. Guests should note that if the pump becomes active before they arrive, the hosts may contact them to see if they would like to cancel, and if so, no refund or negative review will be given. The host may drive an ATV near guests' site, but not through it, on the way to the river. 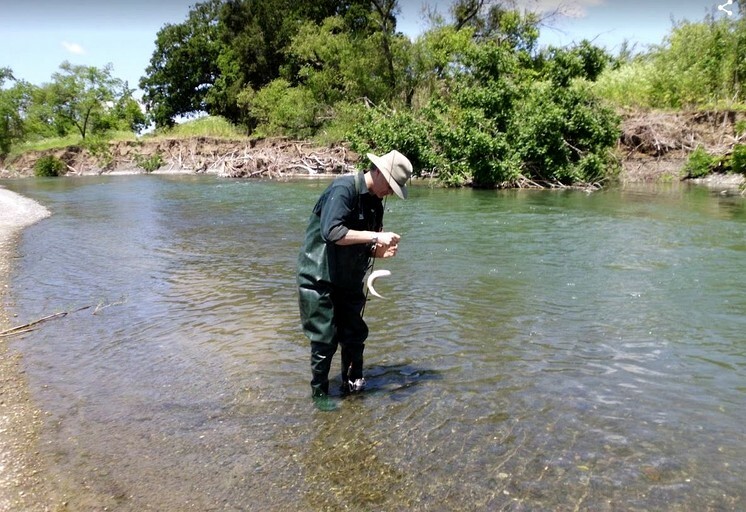 There are several miles of the river near the lodge with decent holding areas for trout and salmon. This river is excellent for fly casting as there are many sandbars without obstruction to your back casts. The host encourages bank fishing and patiently fishing each hole while guests walk along the river. If guests have a flotation/pontoon type device or some other vessel, the host can drop guests off upriver for a float or pick guests up from the Hut and head down river to the next bridge. 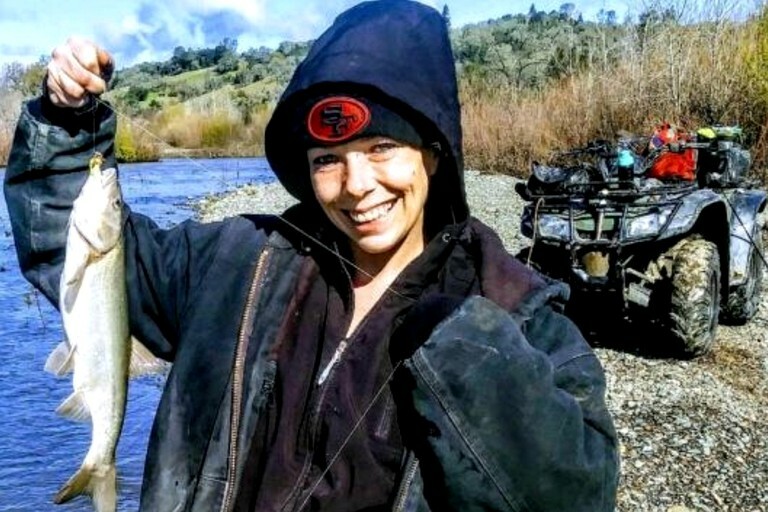 The river itself is very isolated from civilization in this 16-mile stretch, despite its proximity to the Bay Area. Guests will feel as though they are in a wilderness setting due to the huge vineyards providing a buffer to any development, roads or highways. Early in the year guests may have to drag their pontoon boat over a few shallow spots.